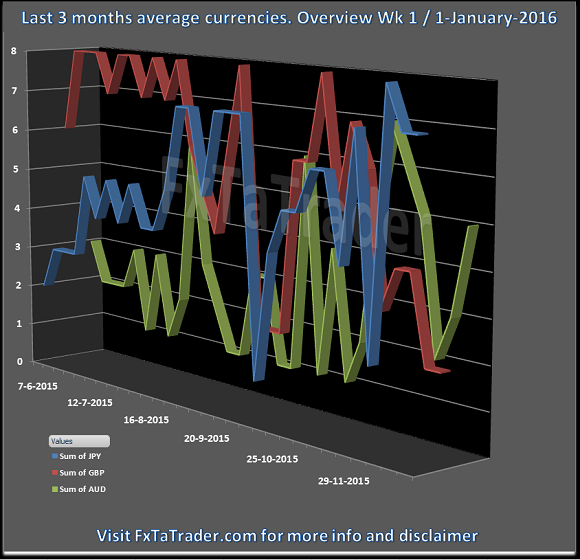 This article provides Currency Classification for the coming weeks. It is recommended to read the page Currency score explained and Models in practice for a better understanding of the article. This article will provide my analysis on the 8 major currencies based on the technical analysis charts using the MACD and Ichimoku indicator on 4 time frames: the monthly, weekly, daily and 4 hours. The result of the technical analysis is the 2 screenshots in this article showing the Currency Score and the Currency Score Difference. Strong: USD / NZD. The preferred range is from 7 to 8. Average: JPY, GBP, AUD. The preferred range is from 4 to 6. 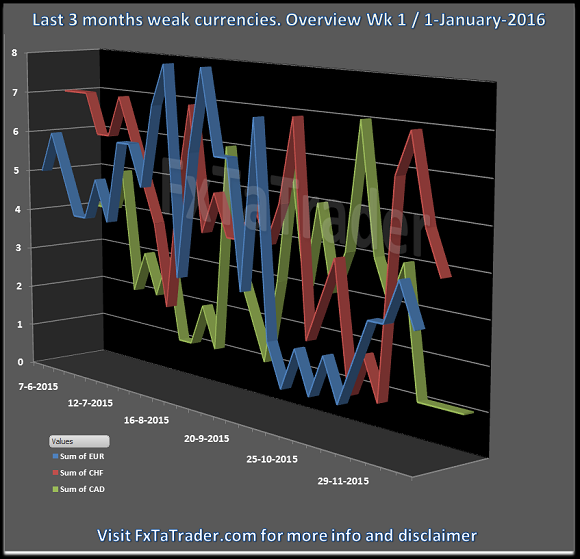 Weak: EUR, CHF, CAD. The preferred range is from 1 to 3. The NZD has become a strong currency and switched places with the GBP which is now an average currency. 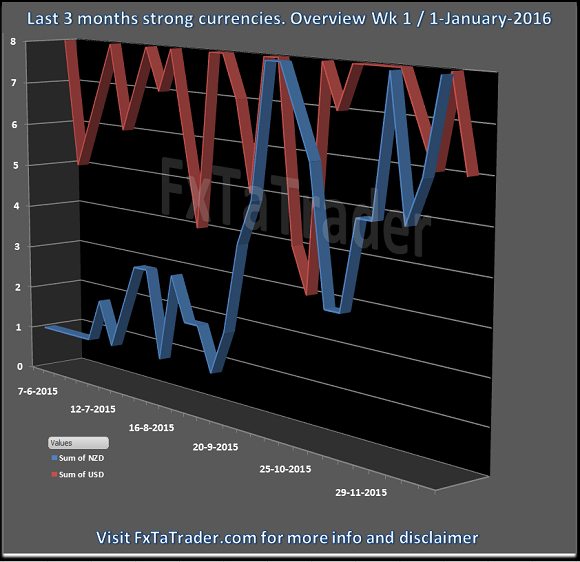 The CAD has become a weak currency and switched places with the AUD which is now an average currency. For now the average and weak classification categories contain 3 currencies while the strong classification has only 2 currencies.